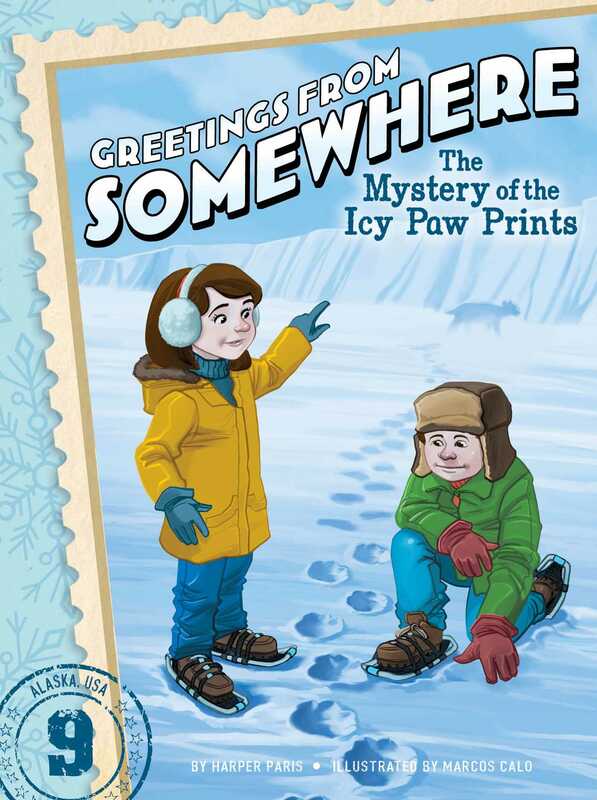 Ethan and Ella follow some icy paw prints that lead to a brand-new mystery in the ninth book of Greetings from Somewhere, an exciting series about mystery, travel, and adventure. Ethan and Ella are back in the USA, though they’re still far from home. While visiting Alaska, the twins see glaciers and grizzlies, kayak through fjords, and learn about polar bears! They also meet some native people who tell them that lately their food supplies have been going missing. And when Ethan and Ella spot some nearby paw prints, they wonder who the paws belong to…and if they might belong to the thief responsible for stealing all the food! With easy-to-read language and illustrations on almost every page, the Greetings from Somewhere chapter books are perfect for beginning readers. Harper Paris loves to travel. Her favorite cities in the world are Paris (like her name!) and New York City. She has collected many souvenirs on her travels, including a good-luck coin from Japan and a reindeer-horn pendant from Sweden. She also loves mysteries. When she was a kid, she read Hardy Boys and Nancy Drew books after bedtime with a flashlight. She now lives with her family (including two cats and a bunny, who are not good travelers) in Ithaca, New York. Marcos Calo has worked as a professional artist for more than fourteen years. He has worked in different fields including illustration, animation, and comic books. He lives with his wife and daughter in A Coruña, a small Spanish town by the seaside.